Is Adrien Broner THE biggest jerk in boxing today? It may seem like a harsh, even dumb question, but then Broner’s out of the ring behavior has been so dumb it simply has to be looked at in nothing but a harsh manner. How many times has “The Problem” (and, oh, how much will Broner live to regret his ring nickname of choice!) been in trouble with the law? Three times? Four times? Five times, in fact, is the number of times the former four-weight titlist has fell foul of the law. Broner’s latest indiscretion took place in a shopping mall in Atlanta. Reportedly, Broner, 33-3(24) – this boxing record being in firm second place to the number of legal issues Broner has to fight – was arrested on a charge of sexual battery after he allegedly grabbed a woman in a wholly inappropriate manner (is there any other kind of ‘grabbing’ in human existence?) whilst strolling through the mall. At this point in time it’s not clear if Broner’s scheduled April 21 fight with the unbeaten Omar Figueroa is in serious jeopardy, but this could well prove to be the case. Case? As in nut case? Does Broner qualify for such a description? Another question that might be asked right now is, how many more chances will this once enormously promising fighter get? Broner has a sheet as long as your arm and he’s still only 28 years of age. Is Broner showing any remorse for this, his latest bad move? Judging by the mug shot that was taken (as released by The Atlanta Journal-Constitution) no, he is not. 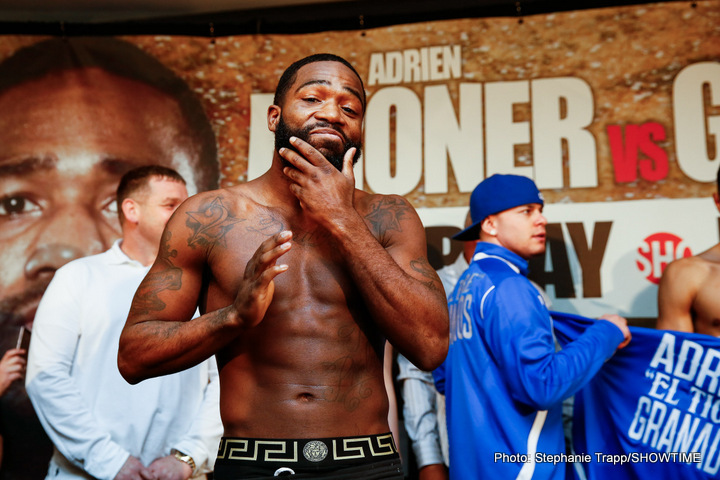 Broner has on his face a particularly disturbing smirk, certainly not a look that would bring him much sympathy. Broner’s career at top level has, in the opinion of many, been over for some time. How much longer before his boxing career is over for good? A price tag of $2,000 has been set for bail, Broner to be in court on February 28th. Broner insists he is innocent.